← DVD review: ROBIN BIBI – Colour House Blues Live! 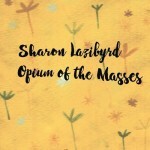 Share the post "Single reviews: SHARON LAZIBYRD, EMMA CHARLESTON"
‘Opium of the Masses’ is the latest single from Sharon Lazibyrd, released ahead of her album, ‘Half Shame and Half Glory’ due later this year. It features Sharon on vocals and ukulele and she is joined by Damon and Kate Bridge (Owl in the Sun) and Tom Cory (Bare Knuckle Parade). A poignant song dealing with life’s delusions, wants and needs. Sharon’s vocal grabs the listener and by effective use of piano, accordion and violin we have a blissful piece of folk pop. Perfect for mainstream radio, yet enough use of traditional instruments to please folk traditionalists. Emma Charleston has graduated through the Berklee College of Music, along with starring in and directing local theatre productions of Broadway musicals. The letter doesn’t really show in ’Falling’ withy its stripped back arrangement. 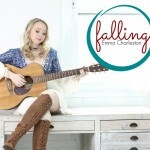 This entry was posted in All Posts, Single and EP reviews and tagged acoustic, Emma Charleston, folk, pop, reviews, Sharon Lazibyrd, singer songwriter, singles. Bookmark the permalink.